Most people believe starting a business venture always require a lot of money. However, this is not always true. There are some legitimate self employed business opportunities you can start with a minimum startup capital investment. And also these are profitable and lucrative. Here in this post, we put a list of 40+ great self employed small business ideas for your ready reference. If you are a new entrepreneur and don’t want to take much risk, you can start a self employed business from tomorrow. However, this type of business demands a specific area of expertise and skill. A self employed business also allows you to take less tax and compliance liabilities. However, it varies upon the location where you are starting the venture. 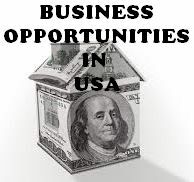 Additionally, as your business grows, at any moment of time you can register a company or registered business entity. Artificial jewelry is gaining tremendous popularity nowadays. Due to the low price, attractive looks and a wide range of designs, it attracts mass population. With a small retail space, you can start this business of your own. The business is also perfect for women. Automobile spare parts business is very lucrative. If you can source the material rightfully you will make good margins. Additionally, you can start this business with an authorized distributorship of a reputed automobile company. This is another lucrative item to start with a small retail space. Additionally, you can offer battery reconditioning, battery check-up, water filling etc. There is a good demand for the computer hardware items in the market. However, you will need to secure a good retail space for this type of shop. You can also start with a distributorship of a reputed brand. You can start computer repairing business in two ways. As home-based or from a retail location. The business doesn’t demand a lot of capital for starting. This a profitable and self-rewarding business. However, the business demands a substantial upfront capital investment. Also, you have to secure a prominent retail location. The event management business is lucrative and allows you to start from home. However, you must have the right knowledge and networking skill to get the success. This is a perfect business for the rural areas and small towns. You can start as an authorized service center of a reputed company or you can start your own. A gift shop is a great business for suburban and small towns. There is a wide range of items you can offer to your consumers. The list includes cards, books, soft toys, decor items, craft items etc. A hardware store with a range of products like bathroom fittings, paints, tiles, construction materials is a profitable business. Initially, you can start with limited products, and as your business grows you can develop the range easily. This is one of the most profitable and emerging business nowadays. However, the business demands substantial capital investment to start. You have to invest money in securing a good retail space and for purchasing the equipment. Kitchenware items have good retail potential. Quality products fetch lucrative revenue. And the sector includes a wide range of products. Such as vessels, dinner sets, cutleries, kitchen chimney, different knives, peelers, crockery items etc. Ladies garment industry is very lucrative. Though there are several online marketplaces, women still prefer to buy the outfits from brick & mortar store. This small business has great market potential globally. And you can start this business from home. If you enjoy arranging and decorating lightings, this business is perfect for you. Mobile retail store with accessories is a great business to start. 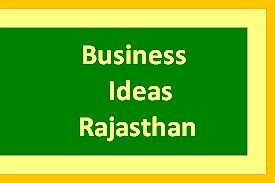 The business is not only perfect for metro cities but also in small towns. However, the business demands a moderate upfront capital investment. If you can drive and enjoy outdoor work, you can consider starting this business. Just only procure a small pickup van and offer the service to the local consumers. This is one of the most lucrative self-employed business you can start in the suburban or rural areas. You can stock a wide range of items like fertilizer, pesticide, seeds, insecticides, weedicides, micronutrients etc. Needless to say that soda shops are popular globally. And the business demands very small capital investment. however, you have to secure a good retail location that can attract the target audience. Sound systems are essential items in any type of stage performance and events. Generally, event management companies prefer to hire the systems for the events. In starting the business, you will need to procure different equipment and tools. This is a profitable food retail business you can start with small capital investment. However, you must select the items as per the taste of the local consumers. Tent house is a traditional business and is still very lucrative. However, the business demands a will stock of equipment and tools for rent. Also, you have to have a retail or office space to operate the business. The demand for the good quality interior is increasing globally. And there is a wide range of tiles, granite, and marbles in the market. However, the business demands a moderate capital investment in starting. People prefer different types of woodcraft items globally. The list may include jewelry, accessories, wall hangings, home decor, kitchen utensils etc. This item is perfect for kiosk model retail stores. If you have a retail space or have cheap rentable space with good customer presence around you can try this business. Even you can start with a second-hand xerox machine. Additionally, you can offer fax, lamination or bookbinding services.